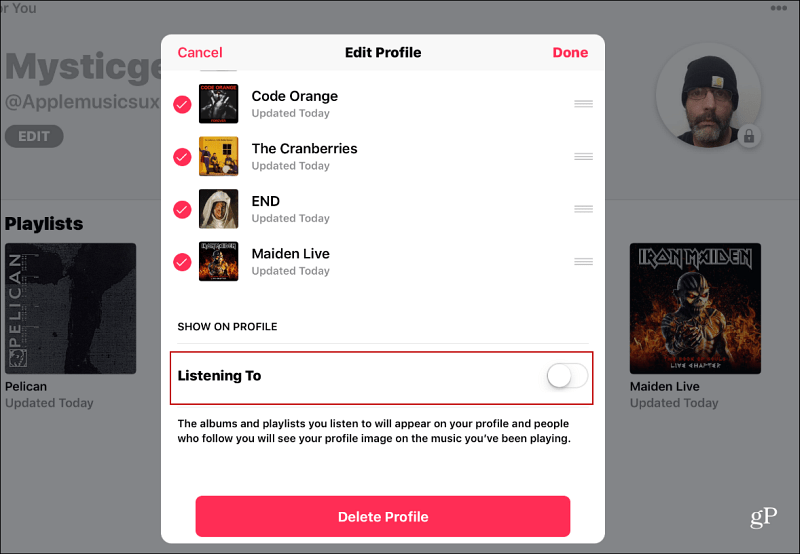 If you would rather your Apple Music listening remain private, here is how to stop your listening history from being seen by other users. With the launch of iOS 11, Apple Music allows you to easily share the music you enjoy with other users of the service. 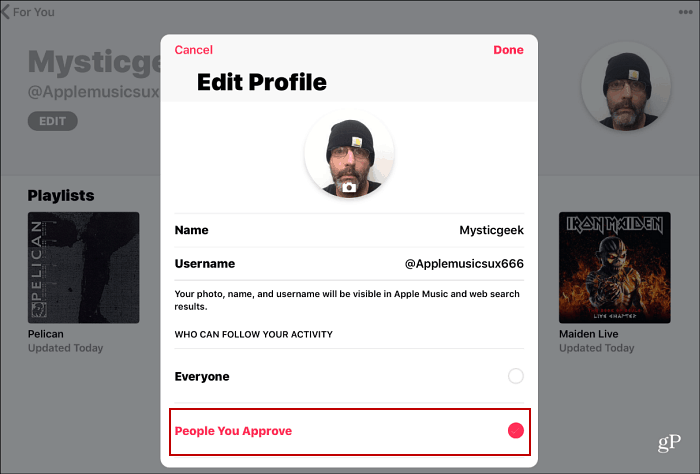 When you set up your profile in Apple Music, you might have allowed viewing of your profile and listening history. Maybe your tastes have changed since then or you just want to keep your listening habits more private. Whatever the case, here is how to make your profile and listening history private again. To make your music history private, open the Apple Music app and tap “For You” at the bottom and then tap your avatar icon. After that, tap the Edit button under your username. From the Edit Profile screen that comes up select “People You Approve” under the “Who Can Follow Your Activity” and then press Done in the upper-right corner. To keep your listening history private, go into edit mode for your profile and scroll down. Under the “Show On Profile” section flip the “Listening To” switch to Off. Note that here you can completely delete your profile as well. Apple Music to Overtake Spotify? As much as people seem to hate iTunes on PC, when it comes to Apple Music subscribers, the service is on par with Spotify — in the U.S. anyway. Apple Music is adding new subscribers at a higher rate than Spotify and is set to surpass Spotify this year. According to a recent article in The Wall Street Journal, Apple’s U.S. subscriber base is growing at 5 percent a month, while Spotify, which is currently in first place, is growing at just two percent. 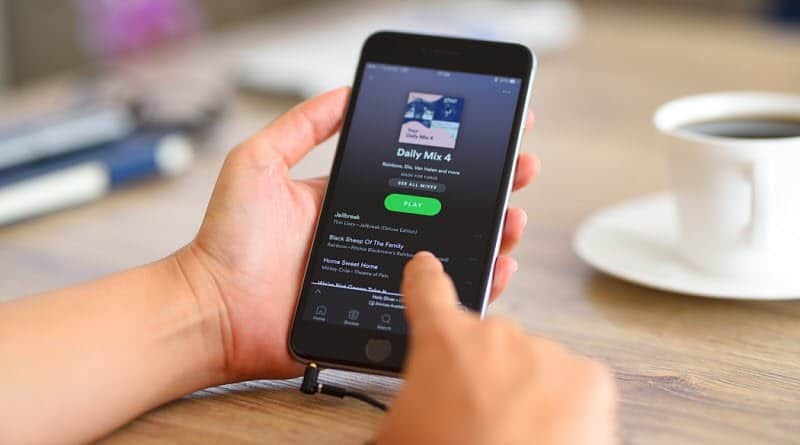 Even though Spotify has an iOS app, due to the large volume of devices Apple sells in the U.S., it appears users just go with the default music service that’s offered. However, globally, Spotify is still king. The Swedish company’s streaming music service has been available in other countries much longer. Also, it’s also dominant in parts of the world where Android holds a clear majority of the market. 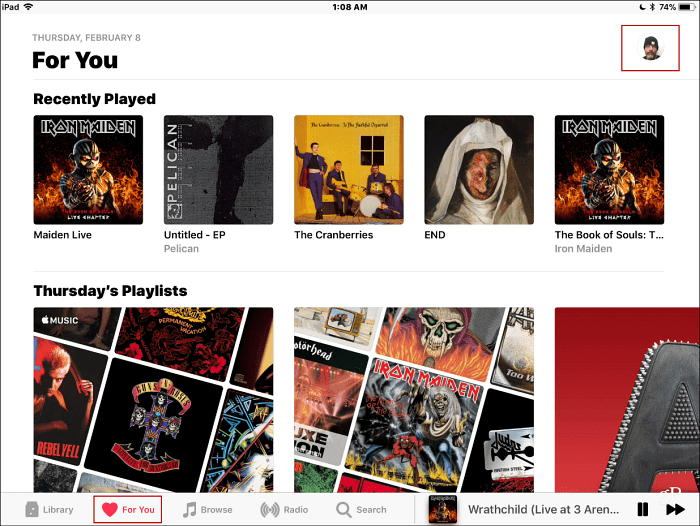 If you’re an Apple Music subscriber, what do you think of sharing your listening history? What’s your take on the news that Apple Music is set to overtake Spotify? Leave a comment and let us know, or for further discussion, check out our gP Forums for all things tech.